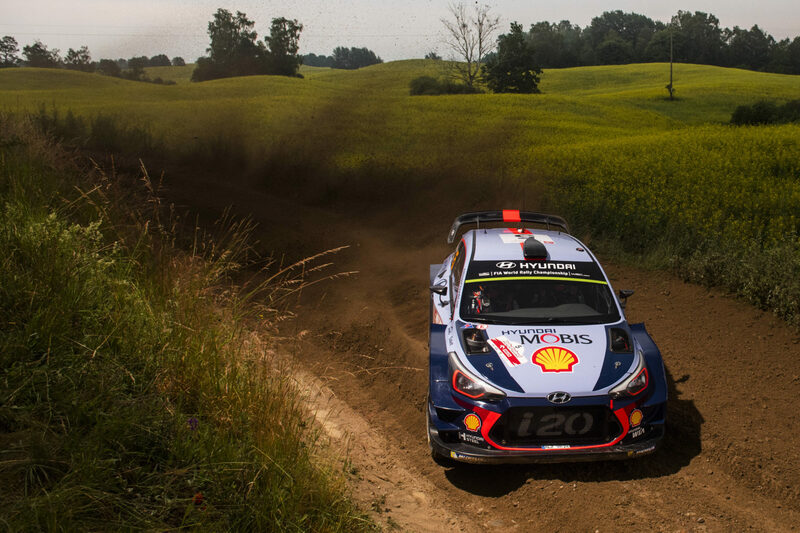 THIERRY Neuville leads Orlen 74th Rally Poland amid a thrilling battle on sodden roads on Friday. Driving a Hyundai i20, Thierry Neuville headed Ott Tänak’s Ford Fiesta by 1.3sec, with Jari-Matti Latvala a further 5.3sec behind in a Toyota Yaris. All three led during the first full day of this eighth round of the FIA World Rally Championship as heavy rain and mud provided little grip on the sandy tracks. The early starters fared best in the morning as they churned up the soft gravel in their wake. The roles were reversed in the afternoon as they ploughed through water-filled ruts and thick sludge to leave a quicker line for those behind. Neuville quickly relegated Elfyn Evans, who won Thursday night’s curtain-raising speed test, despite clipping a bank. Latvala shrugged off the handicap of broken windscreen wipers to edge ahead and finish the morning with a 4.5sec advantage, the biggest lead of the day. He was less confident as conditions changed and Tänak deposed him, but the Estonian’s reign at the top was brief. A charging Neuville won two consecutive speed tests, taking his tally to four, to regain top spot. Tänak missed a junction and stalled his engine, while an over-cautious Latvala was unhappy with the set-up of his Yaris in the afternoon mud. Sébastien Ogier was in the thick of the fight early on. As road opener he endured the worst of the afternoon conditions and slipped to fourth, 35.1sec off the lead and ending the day with a smashed windscreen. Hayden Paddon was a risk-free fifth, the Kiwi closing on Ogier all afternoon in his i20. The gap was 4.5sec. Team-mate Dani Sordo hated the inconsistent grip but was sixth, despite a stall and a spin. 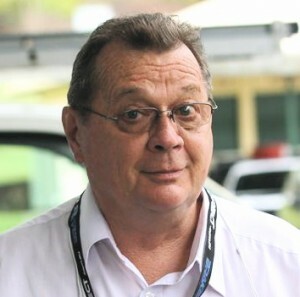 Esapekka Lappi was the only major retirement. He was fifth when he damaged the front right suspension after cutting a corner. Saturday’s longest leg packs almost 145km into nine stages, journeying north towards the border with the Russian enclave of Kaliningrad. Four stages are driven twice either side of service, before a final test at Mikolajki Arena.